A new Inspector has taken over the lead of policing in the Chesterfield and Staveley areas. Inspector John Turner (below) took over management of Chesterfield policing section, which covers Chesterfield Borough, on Monday, March 10th. John joined Derbyshire Constabulary in 1987 and was first posted to Derby City Centre. 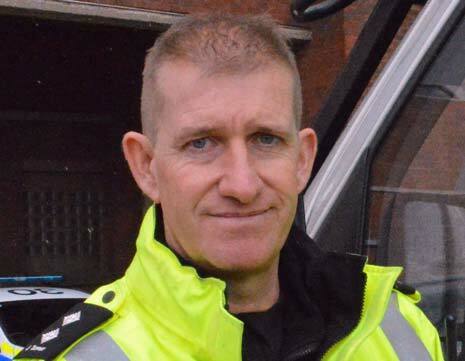 He has since served throughout the county with roles in operational support, as a Police Support Unit officer and Search Adviser, on the Football Intelligence Unit and within the Armed Response Unit, working as a firearms officer for more than 20 years. For the last two years, John has been an operational Inspector at Chesterfield, which included 24 hour operational responsibilities throughout Chesterfield, Bolsover, North East Derbyshire and the Amber Valley. Insp. Turner said: "I am genuinely privileged to be given the opportunity to lead such a large policing area as Chesterfield. "I spent a few memorable years as a newly promoted Sergeant in the mid-nineties in Staveley, Killamarsh and Eckington and was pleased to return to the division a few years ago as an operational officer, which has prepared me well for the new role. "I've had a thorough handover from Inspector Ball who, during his time in the post, has seen a fantastic reduction in crime and disorder in Chesterfield. I hope to continue the good work and build upon it." There are currently five response teams and four Safer Neighbourhood policing teams which work within the Chesterfield Borough area, and the section is supported by specialist policing teams which work within the division and the force. Insp. Turner added: "Getting a grip of crime is one thing, but helping people live a happier life is another. People don't have to accept anti-social behaviour and we endeavour to take appropriate action whenever a problem is identified. "I believe the key to Inspector Ball's success was his close partnership with other agencies in the area. I'll ensure that together we will continue to solve problems and priorities that the community identify." Inspector Steve Ball, who moves to the force contact management centre after four years in the role in Chesterfield, said: "I've fully enjoyed my time as Section Inspector Chesterfield, and have really appreciated the help that we receive from our partnership agencies and most importantly local residents and public we serve. "The significant reductions in crime and anti-social behaviour, and the increase in positive outcomes from crimes, during the last four years have been really pleasing. 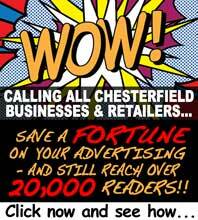 I know Inspector Turner well - and I'm confident he will work hard and do what he can to drive further reductions for the Chesterfield area."